Opportunities to prepare for Mass or serve at Mass. To volunteer for a liturgical ministry, contact the leader. 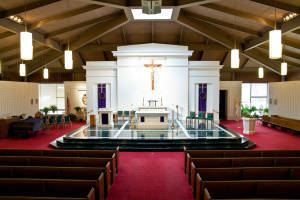 ADORATION: Visit the Blessed Sacrament on Wednesdays from 9 a.m. – 1 p.m. in the Rectory Chapel, September through May. Call the Rectory for schedule – 301-490-5116. ALTAR SERVERS: Servers assist the priest and deacon on the altar at Mass. Eligible boys and girls are 10 years of age or older who have received First Communion. Contact: the rectory – 301-490-5116. EXTRAORDINARY MINISTERS OF HOLY COMMUNION (Communion Ministers): EMHCs are laypeople, approved by the pastor, who are trained to assist in the distribution of the Body and Blood of Christ at Mass, to our homebound and to those in the hospital. The coordinator is Donna Cellini – 301-922-1866; donnac803@aol.com. If interested in becoming an EEM, please contact the pastor, Father Mel Ayala – 301-490-5116. MUSICIANS and CHOIR MEMBERS: Parish musicians help lead the congregation in song to enhance our liturgical celebrations. Singers and instrumentalists are needed and welcomed! WEEKEND CHURCH OFFICE HELPERS: Church office helpers staff the office and assist parishioners with registration forms, Mass intentions, and answering questions after all weekend Masses. The Church office is located to the left of the stained glass window in the Church. Volunteers staff the Church office once a month on either Saturday night or on Sunday. Contact the parish at 301-490-5116.